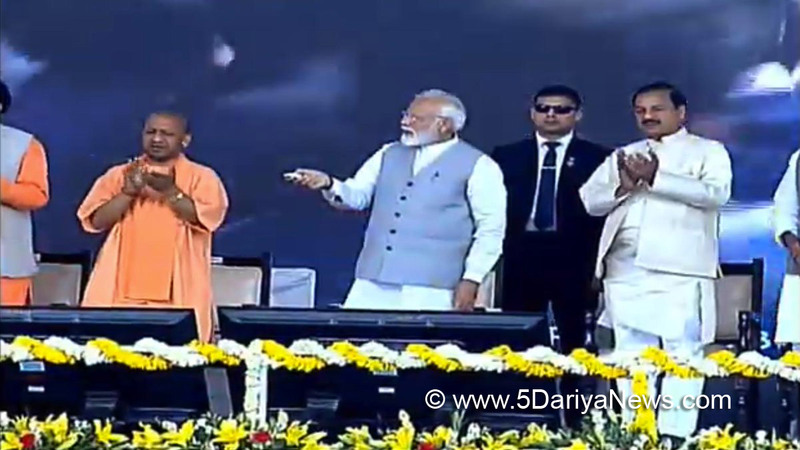 Prime Minister Narendra Modi unveiled the Foundation Stones of Buxar and Khurja Thermal Power Plants digitally from Greater Noida today. These plants, 1320 MW each are situated at Buxar (Bihar) and Bulandshahar (Uttar Pradesh) respectively.The Prime Minister said that the thermal power plants launched at Buxar and Khurja will accelerate India’s growth and will transform the power availability in Uttar Pradesh, Bihar and other neighbouring states. He spoke about the huge jump in power generation in the past four and half years.Speaking about the Government’s initiative towards improving the power sector in India, Prime Minister said that his government focused on all four aspects of power generation, ie, Production, Transmission, Distribution and Connection. He said that such an approach has completely transformed the power sector and One Nation- One Grid has now become a reality. The Government has also given right impetus to renewable energy sector also, PM said. He added that his dream is ‘One World, One Sun, One Grid’. Nand Lal Sharma Chairman & Managing Director, SJVN expressed hope that the project would also act as a multiplier for employment generation and overall growth of the entire region. The project is planned to be commissioned during the year 2023-24.The project has been planned with special features to perform as per the latest environmental norms. The project is based on Super Critical technology, closed cycle water re-circulation system for zero discharge concepts. The coal requirement for the project has been tied-up and it will be supplied by Central Coal Limited (CCL), a subsidiary of Coal India Limited (CIL) while the State Transmission Utility, Bihar has already approved power evacuation system for this project.In terms of the Power Purchase Agreement entered into with the Government of Bihar the project will provide at-least 85% of power generated to the state which will not only reduce demand supply deficit of Bihar in terms of current power scenario but will also boost industrial activity in the state. The foundation stone laying ceremony at Chausa, Buxar, Bihar was graced by the Union Minister of State for Health & Family Welfare, Shri Ashwini Kumar Choubey, Energy Minister of Bihar, Shri Bijender Prasad Yadav and People’s representatives from the area and senior officials from the SJVN. The Cabinet Committee on Economic Affairs, chaired by the Prime Minister Shri Narendra Modi, had given its approval (on 7th March, 2019) for investment approval for 2x660 MW Buxar Thermal Power Project (Buxar TPP) in District Buxar of Bihar.The project will be completed at an estimated cost of Rs. 10,439.09 crore and implemented by SJVN Thermal Private Ltd., a wholly owned subsidiary of SJVN Ltd., a Mini Ratna CPSU under Ministry of Power, Government of India.The Buxar TPP will be based on Supercritical Technology with two units of 660 MW each, equipped with latest emission control technology to protect the environment and has high efficiency and use less fuel to generate power. The Buxar TPP will improve the deficit power scenario in Bihar and Eastern region. Govt. of Bihar has already signed Power Purchase Agreement (PPA) for supply of not less than 85% of generated power.The project is expected to generate substantial direct and indirect employment apart from various other socio-economic development in the project area. The Buxar TPP will start yielding benefits from 2023-24. The Cabinet Committee on Economic Affairs chaired by the Prime Minister has approved the investment approval (on 7th march, 2019) for 2x660MW Khurja Super Thermal Power Plant (STPP) in District Bulandshahar of Uttar Pradesh at an estimated cost of Rs.11,089.42 crore and Amelia Coal Mine in District Singraulli, Madhya Pradesh. The project will be implemented at an estimated cost of Rs. 1587.16 crore and will be implemented by THDC India Limited, a Mini Ratna CPSU under the Ministry of Power, Government of India.The Khurja STPP will be based on Supercritical Technology with two units of capacity 660 MW each, equipped with latest emission control technology to protect the environment and has high efficiency and uses less fuel to generate power. Amelia Coal Mine was allotted to THDC India Limited by Ministry of Coal, Govt. of India in January, 2017.The Khurja STPP will improve the deficit power scenario of Northern Region and particularly of Uttar Pradesh, which has already signed Power Purchase Agreement with THDC India Limited for purchase of 60% Power from the Project and the other beneficiary states i.e. Uttarakhand, Rajasthan, Himachal Pradesh and Delhi.The project is expected to generate substantial direct and indirect employment and overall development of District Bulandshahar and nearby districts of Western Uttar Pradesh. The Khurja STPP will start yielding benefits from 2023-24.